Andrée is a Professional Block print innovator and designer with over 30 years’ experience working directly with craftspersons in Jaipur. She is an Elite Tour programmer and leader in both Jaipur and Delhi since 2006, specializing in Blockprinting, Indian textiles and Indian handmade craft traditions. Andrée designs, pre-plans and escorts every personalized tour herself. Andrée’s tours specialise in escorted walks through the winding lanes and bazaars of Old City Jaipur, featuring Living Arts Walking Tours, Textile Artisans’ workshops, Hand-craft artisans and Disappearing Professions. Other areas of expertise are escorted Luxury Personal Shopping in Jaipur, and guided startup Sourcing and Consultation tours for beginner designers and importers can be arranged for newcomers who want to work with Jaipur’s textile artisans directly. New this year are Introduction to the Art of Blockprint workshops, featuring hands-on blockprint practice. Beginner’s one-day courses and Masterclass intensive courses can be arranged for your group by advance booking. Contact Andrée to plan your customized guided tour exploring the magnificent living arts of Jaipur. 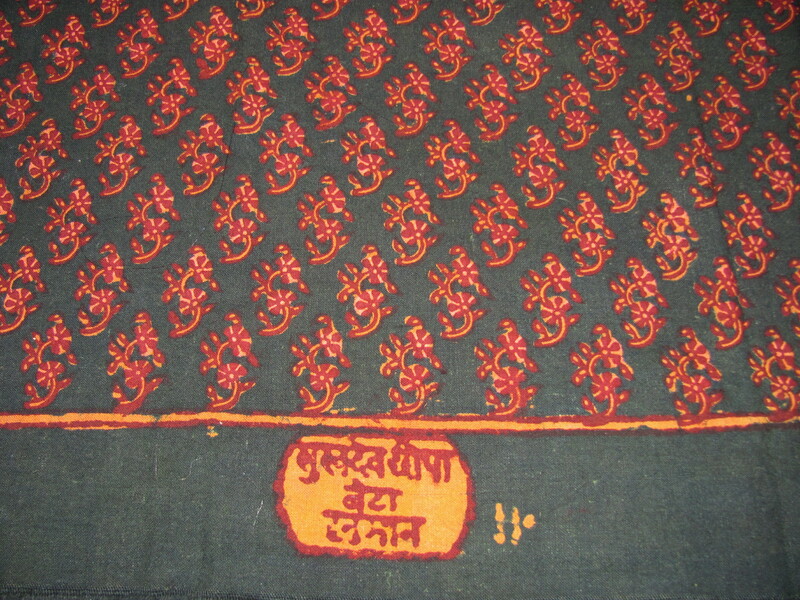 Vintage Traditional Skirt fabric of Rajasthan. The printer inserted his name near the hem. 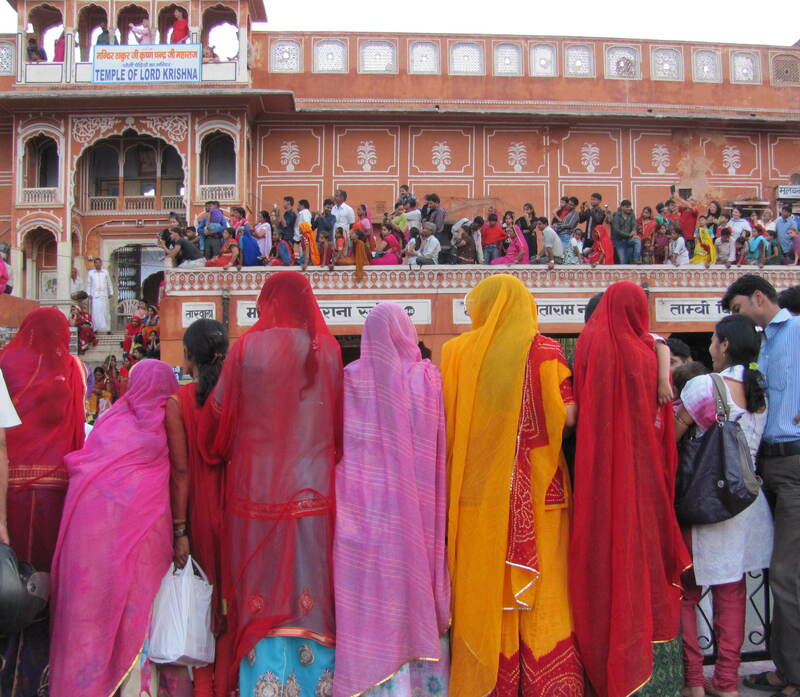 Crowds of onlookers await the Gangaur Festival Parade in Tripolia Bazaar. The walled city features street facades hand painted with delicate white line designs on brick pink. Andrée gives beginner’s Blockprint workshops and Masterclasses in Jaipur, as well as workshops and talks on contemporary, historical textile arts and costumes of India. Thank you so much for your inquiry! I apologize for the delay. Please write to me at andreepouliot@gmail.com so I can share information with you about the textile tours I offer in detail.